Television Installer Northern Beaches. TV & Audio Visual Installation. Peter Mitchell, That TV Guy, is your local television installer, audio visual setup & TV wall mounting specialist servicing Sydney’s Northern Beaches & North Shore for over 15 years. Call today for reliable advice and prompt assistance. 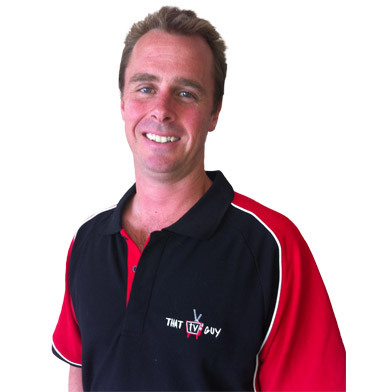 Peter Mitchell, That TV Guy, is a highly experienced TV and audio visual expert that has been servicing thousands of customers on Sydney’s North Shore & Northern Beaches for more than 15 years. He has extensive extensive knowledge in all makes and models of TVs and audio visual equipment. His friendly and helpful approach makes it easier for you to relax and rest assured that he will look after your TV needs. Peter lives at Warriewood on Sydney’s Northern Beaches with his wife and daughter. Call Peter today for fast service and helpful advice regarding all your audio visual requirements. Complete the form below and I will get back to you as soon as possible to discuss your enquiry. NORTHERN BEACHES AUDIO VISUAL SERVICES : Palm Beach, Whale Beach, Avalon, Clareville, Newport, Mona Vale, Bayview, Bilgola, Church Point, Narrabeen, Warriewood, Elanora, Ingleside, Collaroy, Cromer, Dee Why, Wheeler Heights, Brookvale, Frenchs Forest, Foreville, Belrose, Beacon Hill, Harbord, Freshwater, Manly, Queenscliff, Seaforth, Clontarf, Fairlight, Allambie, Killarney, Narraweena, Oxford Falls, Davidson, Terrey Hills. UPPER NORTH SHORE AUDIO VISUAL SERVICES : Killara, Gordon, Turramurra, Lindfield, Pymble, Roseville, St Ives, Wahroonga, Warrawee, Hornsby and Waitara. LOWER NORTH SHORE AUDIO VISUAL SERVICES : Artarmon, Chatswood, Cremorne, Crows Nest, Kirribilli, Longeville, McMahons Point, Milsons Point, Mosman, Neutral Bay, North Sydney, Northbridge, Waverton, Willoughby, Wollstonecraft, Balmoral and Clifton Gardens.